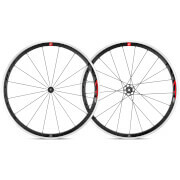 The same qualities that have made the Racing 5 LG such a popular wheelset in the past combine new elements in order to make an affordable but also race ready wheel. The 20 spoke design in addition to the 17C wide asymmetric rear rim profile offers remarkable performance in terms of both increased lateral and torsional rigidity as well as increased reactivity. 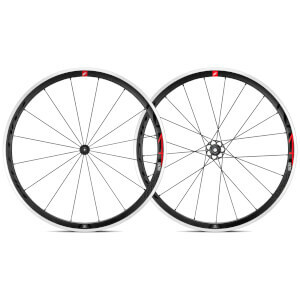 The new design allows for more homogenous spoke tensions and makes for a sturdier, higher performing wheelset. Wheels arrived safely, quickly and true from the box. I have ridden over 400km on these in the last week and a half on reasonably rough bitumen roads and the wheels have remained straight & true. 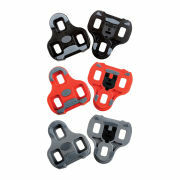 The wheels spin up well on the flats and are good for climbing also. If you like the sound of a loud/noisy rear hub when you are free wheeling/rolling, you will be disappointed, the rear hub is almost silent. 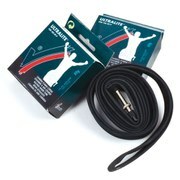 Paired with a set of 25mm Schwalbe Durano tyres they give an excellent ride. Overall the performance, weight and value for money has been excellent.